Mutsa Diana Shiripinda is a 25-year-old media graduate and spoken word poet who performs under the pseudonym Rae Lyric. Mutsa was born in Zimbabwe and moved to Botswana at age four. Upon noticing her love for written word, her high school literature teacher encouraged her to read and write poetry. After high school, she earned an Honors degree in Broadcasting, Journalism and Media in 2013 and went on to work as a news anchor and business reporter at Gaborone based adult contemporary radio station Gabz fm. During her time at Gabz FM, she also presented and produced a literacy feature “The Words” during the mid-morning show. She began performing in 2009 and went on to start an on campus poetry collective at her university campus. Performing weekly helped her hone her performing skills and build a following. 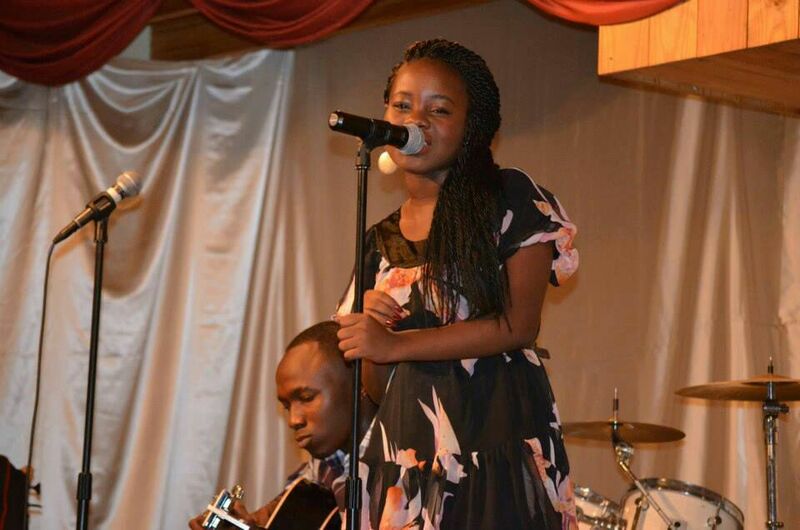 She eventually ventured into performing at open mic sessions, most notably Exodus Live Poetry, Poet’s Passport Botswana as well as Rhythm & Soul sessions. The later, impressed by her performances invited her to join the collective ‘Masters of Soul’, a collective of poets, vocalists and instrumentalists. With the collection, she performed at Botho Arts Festival, Maitisong Festival as well as being an opening act for Ugandan comedian Anne Kansime. 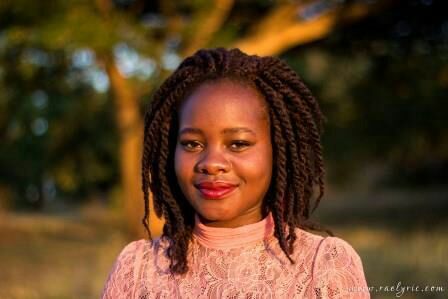 To date, Mutsa has performed as Rae Lyric at various festivals including Shoko Festival, Maun International Arts Festival, The University of Botswana’s Multilingualism and Poetry festival and most recently, Shakespeare in Harare and The TiriAfrika Africa Day Concert in Harare. After working at the station for close to a year, Mutsa moved to Pretoria South Africa for 6 months to ‘gain life experience’. Upon her return to Botswana and feeling an ache to know more about her birth country, she decided to move to Zimbabwe in June 2015. She runs a blog (www.raelyricscribes.com) that features some of her written works including a series of letters; fiction series that include ‘Side Chick Story’ and Confessions of the new girl, as well as various other works with include poetry and opinion pieces. She is currently working on a visual EP entitled ‘The Diary of Rae Lyric: Of Being Raised by Hurricanes’. RaeLyric is coming to Zimbabwe to perform at the UpInSmoke poetry Slam being help at Alliance Francaise on the 4th of November. The UpInSmoke poetry Slam is holding its second slam in Bulawayo. The previous slam was held at the National Museum and the winners where a tie between The State Poet and TheVoice. The guest poet during the first slam was Gwenyambira from Harare who is a mbira performing poet. Who is Rae Lyric and where is she from? My birth name is Mutsa Diana Shiripinda, but I go by Rae Lyric amongst the circles of artists I call my tribe. I am a 25-year-old spoken word poet, blogger, freelance journalist and all round creative. I was born in Harare, Zimbabwe but grew up in Gaborone, Botswana. I returned to Harare in 2015 to learn a little more about my people, culture as well as perform more on home soil. What type of poetry do you do? I honestly find this question challenging to answer as I borrow from various forms of poetry at different times because life is an ever-evolving kaleidoscope of inspiration. Sometime I write lyric poems, sometimes they are sonnets, sometimes I write in prose, sometimes I write abstract things that cannot be categorized. It is safe to say I write poetry. Different things at different times. Music, books, personal experience, people watching, travelling and literally everything in between. Trying to build a name for myself in a country I did not grow up in and was not well versed in their creative landscape and culture has been a bittersweet journey. From convincing clients that you will deliver because you are unknown, to getting lost on the way to gigs. To turning down certain gigs because they go against what you are about and every little thing in between. Also, the stereotypes that surround artists sometimes get to me. I have performed more extensively in Botswana; I started out at the Rhythm and Soul Poetry sessions and Poet’s Passport at the Gaborone Museum. I started being invited to festivals. To date I have performed at Shoko Festival, Botho Festival, Maitisong Festival, Maun International Arts Festival, The University of Botswana’s Multilingualism and Poetry festival and most recently, Shakespeare in Harare, The TiriAfrika Africa Day Concert and at various other corporate events. Who would you like to meet or to work with? I would really love to meet and work with Saul Williams, Natalie Stewart (from Floetry), Jill Scott, Simphiwe Dana, Zamajobe, Oliver Mtukudzi, Prayer Soul and Ntsiki Mazwai. Their messages and styles resonate with me. Who are the biggest poets in Africa in your regard? I think poetry much like any industry or vocation depends on how much of yourself you invest into it. The more you grind the more it pays. I am currently working on an EP due for release early next year. I am also toying with the idea of doing a tour of southern Africa just attending open mic sessions and collecting amazing experiences in my camera and journal. But besides that, more writing, more published work and more becoming! What other projects do you have interest in besides poetry? I am interested in many different things. You can look out for my new blog as of the 1st of February 2017 that encompasses my love for literature, art, culture, travel, fashion, poetry, music, activism and a whole lot of rants on random things. We are all looking forward to the UpInSmoke Poetry Slam on the 4th of November. Make sure you come through and witness the brilliant poets battling it out, and most importantly her highness RaeLyric!! !